The carpentry math, used for most projects, can be narrowed down to some basic formulas and computations provided right here on this page. The formulas below can be used to square a wall or deck frame (the Pythagorean Theorem), calculate the area of a circle, calculate the volume of a cylinder, calculate the circumference of a circle, and more. 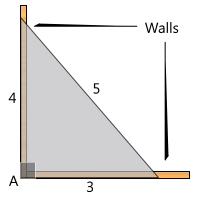 The Pythagorean theorem is used extensively in carpentry and construction. Almost every carpentry project involves some combination of squares and triangles. The square of the hypotenuse of a right triangle is equal to the sum of the squares of the other two sides. The square of side A plus the square of side B equals the square of side C.
The square of one side of a right triangle equals the square of the hypotenuse minus the square of the other side. The length of the square of side A equals the square of side C minus the square of side B. If this sounds complicated, consider the 3-4-5 rule of a right-triangle. It is the best way to square two walls. 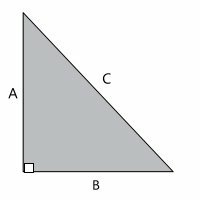 Here's how it works - if one side of a right-triangle is three feet and the other side is four feet and the hypotenuse (or long side of the triangle) is five feet, then angle 'A' is 90 degrees (see diagram at right). If you want to square something larger, you can use proportions of this same formula, such as 6-8-10. 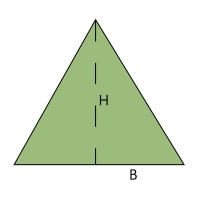 The area of a triangle is equal to one-half the product of the base and height. 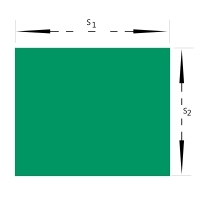 To calculate the area of a rectangle, simply multiply the length of side 1 by the length of side 2. 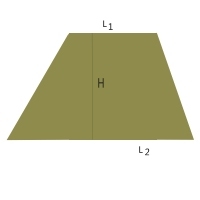 To calculate area of a trapezoid, multiply its height by one-half the sum of the parallel sides. 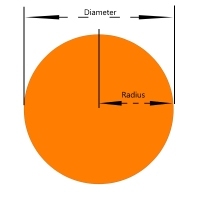 To calculate the area of a circle, multiply the circumference by one-half the radius. Or, multiply the radius2 by 3.1416 (pi). 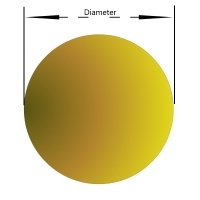 To calculate the circumference of a circle, multiply the diameter by 3.1416 (pi). 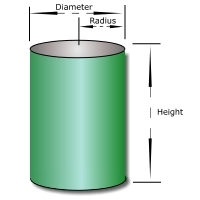 To calculate the volume of a cylinder, multiply the radius squared x 3.1416 (pi) x the height of the cylinder. If you know of any other formulas that you would like to see added to this carpentry math page, please contact-us.